This week’s new release include a brand-new Cabaret Voltaire compilation that spans both periods of the band (‘#7885: Electropunk to Technopop 1978-1985’), plus a new live concert film from Peter Gabriel, a reissue of Slint’s ‘Spiderland’ with bonus documentary, and two live sets from The Gun Club. This week’s new releases include expanded reissues, on both CD and vinyl, of Bob Mould’s solo debut ‘Workbook’ and Morrissey’s ‘Your Arsenal,’ plus brand-new studio albums from Neneh Cherry and The Woodentops, and vinyl reissues from Peter Gabriel and The Afghan Whigs. Peter Gabriel’s companion to 2010′s Scratch My Back, out in the U.K. since September, gets a belated U.S. release this week. It features versions of his songs covered by many of the artists (Arcade Fire, Lou Reed, Paul Simon) he covered on the original release. The Replacements may be back, but they’re still getting no respect: The Roll Hall of Fame’s Class of 2014 was revealed by Rolling Stone tonight, and the ‘Mats, while nominated back in October, didn’t make the cut. Instead, Nirvana, Peter Gabriel, KISS, Hall and Oates, Cat Stevens and Linda Ronstadt will be inducted come April. Less than two months after reuniting onstage for the first time in more than two decades, The Replacements tonight landed a nomination to the Rock and Roll Hall of Fame’s Class of 2014, joining a list of nominees that includes Nirvana, Peter Gabriel, KISS and more, Rolling Stone reports. Peter Gabriel this week finally will release the long-planned companion to his 2010 covers album Scratch My Back, a new 12-track compilation called And I’ll Scratch Yours that features many of the artists he covered on that original album returning the favor by covering his songs. This week’s new releases include a 20th anniversary reissue of Nirvana’s ‘In Utero,’ the first new album from Mazzy Star in 17 years, new records from New Model Army, The MIssion and Peter Buck’s Tired Pony, plus a live Bryan Ferry DVD, a Waitresses compilation and more. 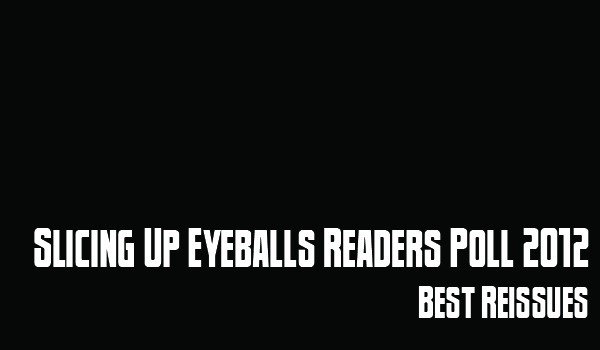 Today we count down the best reissue of 2012 as voted on by Slicing Up Eyeballs in this year’s readers poll, and the Top 10 list includes releases by Icehouse, Ministry, The House of Love, Ian McCulloch of Echo & The Bunnymen, Yazoo, Bob Mould’s Sugar, My Bloody Valentine, Peter Gabriel and more. This week’s new releases include expanded reissues of Peter Gabriel’s ‘So’ and Heaven 17’s ‘The Luxury Gap,’ plus a new live CD/DVD set from The Mission, the previously unreleased original demo tape from Rites of Spring, a new album from XTC’s Andy Partridge and Peter Blegvad, and vinyl release from The B-52s and Ultravox. 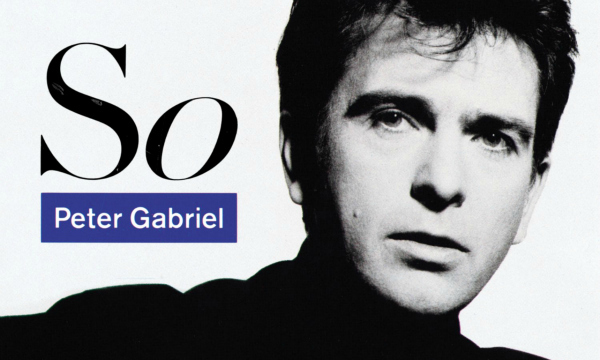 Peter Gabriel’s currently in the midst of his Back to Front Tour, which finds him performing 1986’s ‘So’ in its entirety each night during the North American trek. 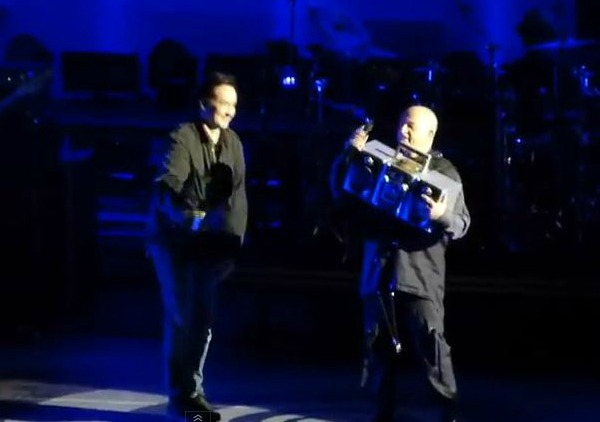 But on Saturday night, fans got an extra dose of nostalgia, as John Cusack — yes, Lloyd Dobler himself — came on stage to present Gabriel with a boombox.